I suppose a very good question at this point is to wonder how I found myself skulking around an apple orchard with my camera, not once but twice in a year. "This was a before and after-type shoot of apple blossoms in late spring and the associated apple harvest mid autumn of 2013…." 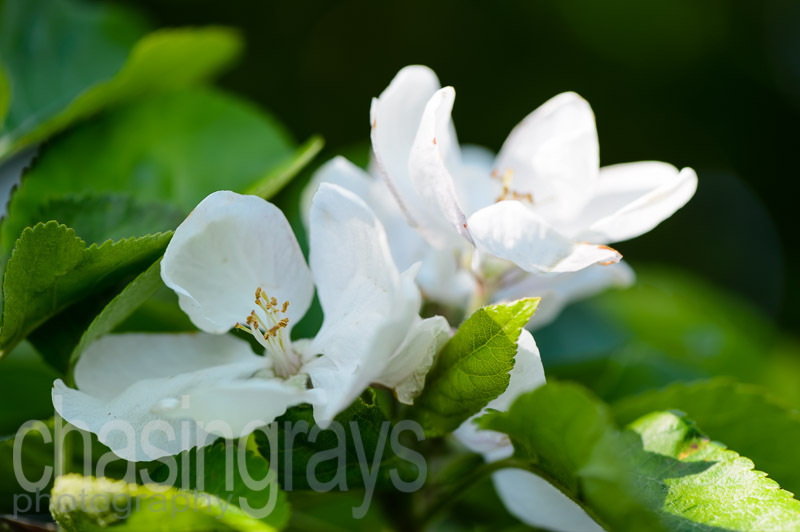 This was the start of one of the more unusual photography commissions I’ve been asked to do, spread over half a year as a before and after-type shoot of apple blossoms in late spring and the associated apple harvest in mid autumn of 2013. I know what you’re thinking: apple portraits. I’d have a chuckle at me if I were you. But in the end… why not? Actually, it sounded kind of intriguing, and it’s a perfect example of the type of bespoke photography commission I like to be challenged with. So I found myself going for this quite enthusiastically. My client wanted two contrasting pictures for her kitchen, most likely set in one of my range of acrylic frames to protect them from steam and oil vapour. She decided on images of the orchard she and her husband had inherited with their new house. So all it needed was a the patience to wait the six months between shoots and the hope that the harvest would turn out well. We photographed the same tree from roughly the same angle – we did need to adjust the angle slightly and of course the time of day to get two images that were as close to each other as possible. The commission isn’t quite finished yet as we’ve yet to decide on the two most complementary images, but which ever two we end up with, I know they’ll look great. I love numbers 4 and 9. They are all beautiful and what a lovely idea for a shoot! Thanks for the comments, Jo!